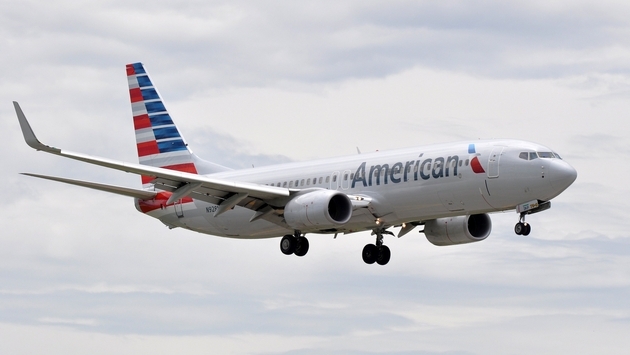 A Minnesota middle school teacher and American Airlines are at odds over whether the man was bumped from a flight while chaperoning 16 students. The teacher, Mark Westpfahl, says he was involuntarily bumped from an American flight leaving Reagan National in Washington D.C, where he and his students were on a class trip, back home to Minneapolis-St. Paul on April 5. The airline says he volunteered to be bumped and accepted compensation, creating a classic ‘he said/they said’ situation. Westpfahl, an American studies teacher at St. Paul’s Capitol Hill Gifted And Talented Magnet School, told the Minneapolis Star-Tribune that his name was randomly pulled to be taken off the flight after nobody volunteered to be bumped. “And I’m sitting there with a smile because I’m trying to figure out, ‘Are they having a little bit of fun with me? Or are they not?’ ” Westpfahl said. Westpfahl did have another chaperone helping him who was able to board the flight with the children, all of whom were between 11 and 14. He tried to plead his case, saying that one chaperone for 16 children was not efficient and also noting that Westpfahl was carrying medicine for some of the children. But American Airlines says its computer shows Westpfahl received a compensation voucher normally given to travelers who voluntarily give up their seat. Westpfahl caught a later flight home. The children arrived safely with the other chaperone. But to date, the situation remains unresolved. Airline spokesman Ross Feinstein told the paper American is reaching out to Westpfahl.